Bureau of Print Research and Design: Haymarket Riot/ The Part five. 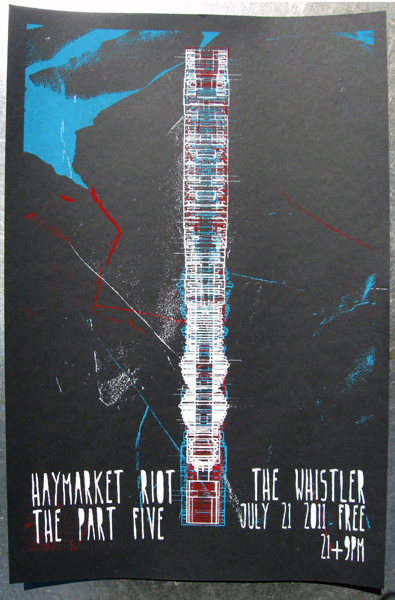 Here we have a 3 color poster for Haymarket Riot and Part Five. This the second poster that i have done for Haymarket Riot and to keep a theme I went with another abstract design.